Autodesk Maya’s interface might be overwhelming at first, especially for beginners, but you can learn how to use the app and how all features are organized by following the tutorials offered on the developer’s page. All visual elements like animation, surfaces, polygons or dynamics can be accessed via tabs, while more advanced editing features are available in the Attribute Editor panel. Additionally, From the Timeline you will be able to animate and manage the evolution of your modelling project with just a few mouse clicks. Thanks to Autodesk Maya’s open architecture, the embedded scripting languages (C++, Python and MEL), along with the comprehensive Application Programming Interface, you will be able to create custom tools and script or program your work. Professional users will be able to enjoy a smooth and fluid experience when it comes to animation as long as they have the appropriate rig. In addition, The Grease Pencil allows you to draw directly onto the screen. This features comes in handy when you have to draw on frames, outline animated sequences and more. If you enable the Modelling Toolkit you will have quick and easy access to handy features in the right-hand panel without having to search through the menus for the desired tool. As an extra advantage, the Autodesk Maya application enables you to fully preview your work in real-time and visualize your models before rendering and exporting them. To conclude, Autodesk Maya is a powerful and well-designed animation, composing, rendering and modeling utility created to provide you with all the tools and features required by professional film makers, game developers and graphic designers. 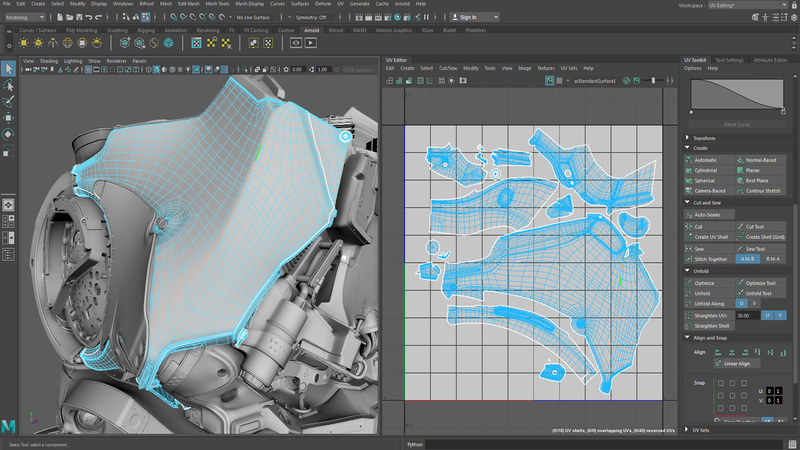 Maya 2015 – Professional 3D modeling and animation tool.